The quickest way to feel suffocated when seated at your desk, is to keep everything at eye-level. The real transformation comes through creating height, to give the illusion of a larger space. I staggered these Desenio prints up my desk's wall, saving one for a lower shelf to spread out the overall visual effect, and propped the largest one against the wall to stretch out the height that little bit more. 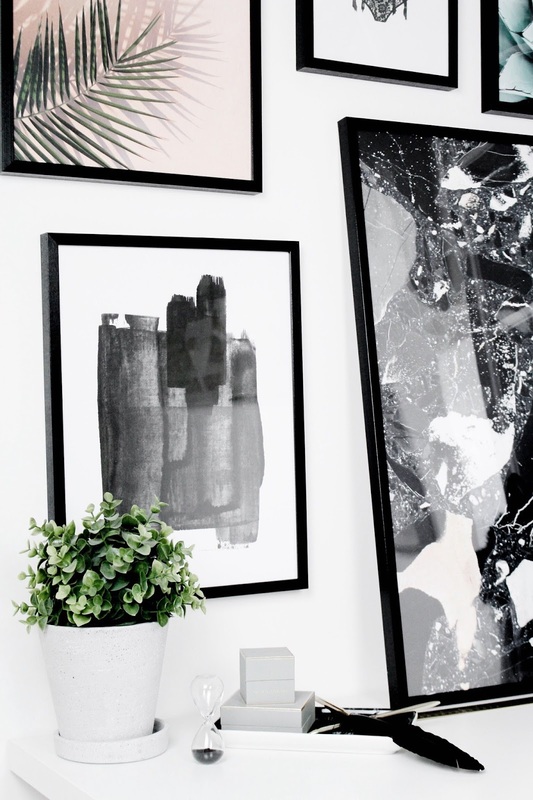 Keeping with the theme of Scandinavian luxe, I've opted to trace all prints with black frames, though there are a ton of other frame options at Desenio, including gold, copper, white and wooden. If, like me, you prefer to constantly move things around to switch up a design scheme, art prints are a fabulous option. I've already changed my arrangement twice, at one point replacing one temporarily with a hat. Alternatively, you can simply prop them up against the back of your desk, making one hell of a stylish backdrop (especially if you're doing product photography!). As always, hugely looking forward to hearing your thoughts! 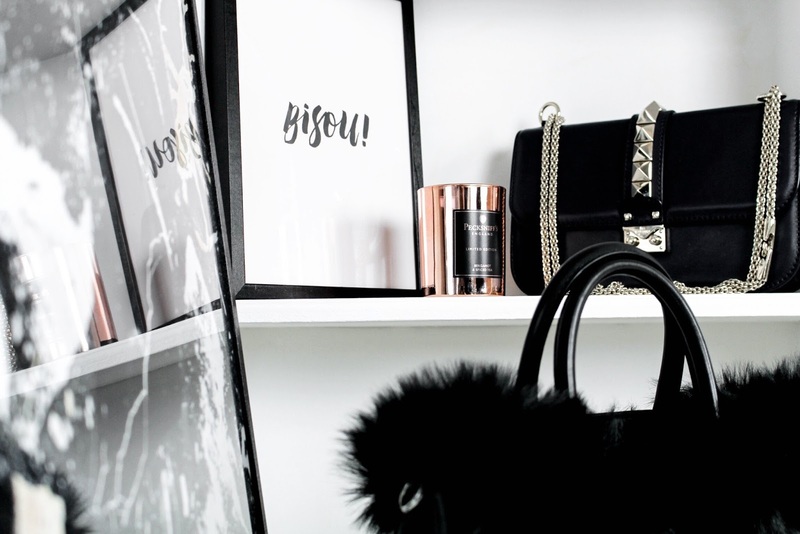 Have you ever shopped online with Desenio before? 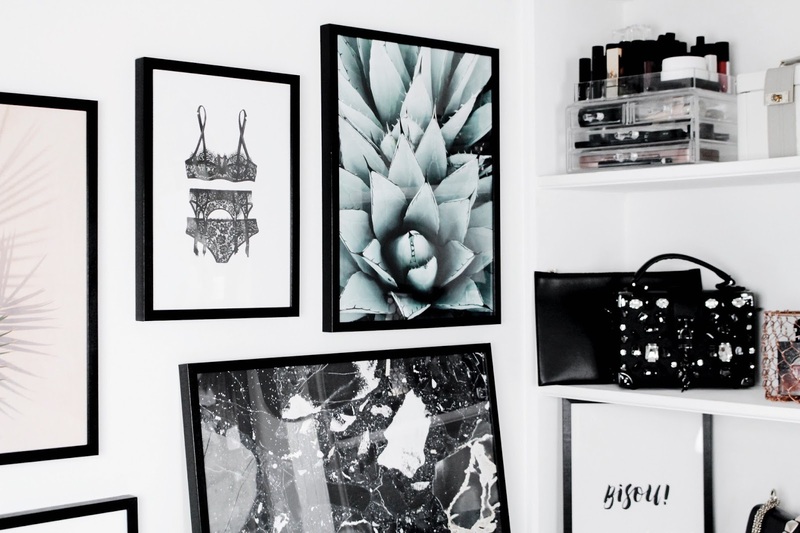 Are you also obsessed with dreamy home office/workspace setups?! Enjoy browsing - there are some dreaaamy new arrivals! Note: This post is in collaboration with Desenio - as always, all opinions are my own! Such a beautiful setup !!! Your shoes are amazing too. 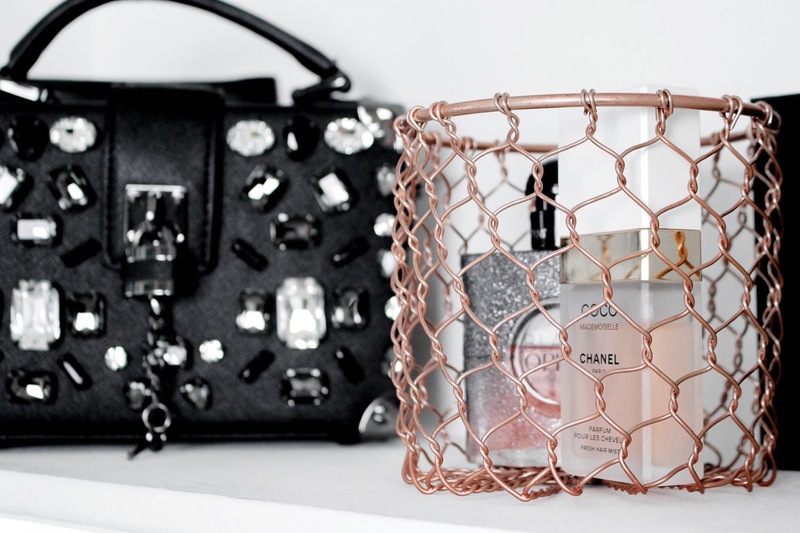 Love the gold baskets. what a cool idea, love the style! 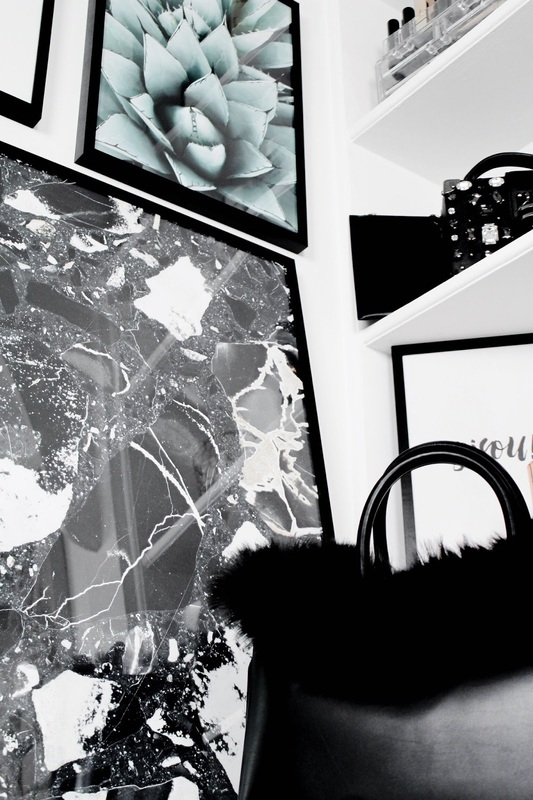 How amazing your desk looks like, great eye for interior Gabrielle. 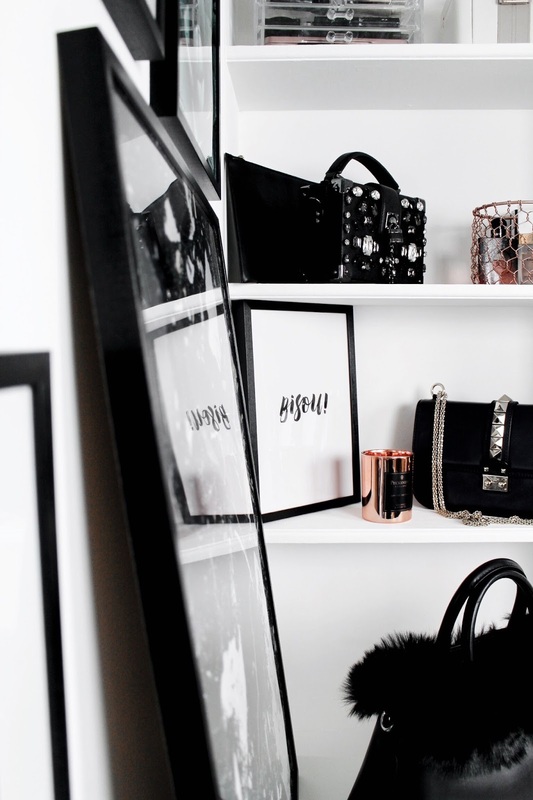 I really like how you decorated your shelves on the side with the bags, the frames and the pictures that fit perfectly in. I wish I would have a corner like this for my work, looks lovely. the scandinacian styling is so amazing. I LOVE Desenio! It’s so hard to pick a few because there’s so many great prints! Love your choices here & how you staggered them up the wall. It looks really nice! 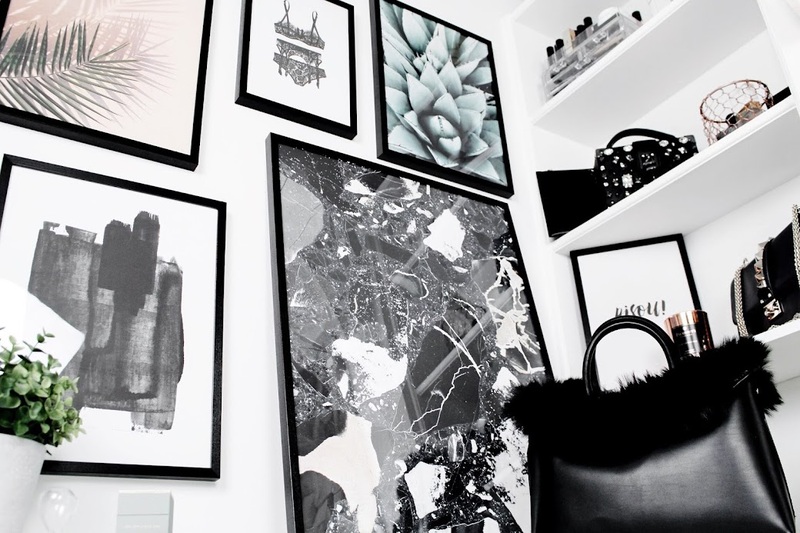 Office and wall decor are legit two of my fave things to shop for and these prints gave me literal heart eyes! I especially like the aloe vera print. This is so inspiring for me because I've been working on minimizing my space to open it up a bit more. I love the idea of adding height with pictures, completely loving it! Very nice setup with the picture frames! I'm thinking of doing something like this too! those prints are super pretty! I just love this brand, they have the cutest frames ! 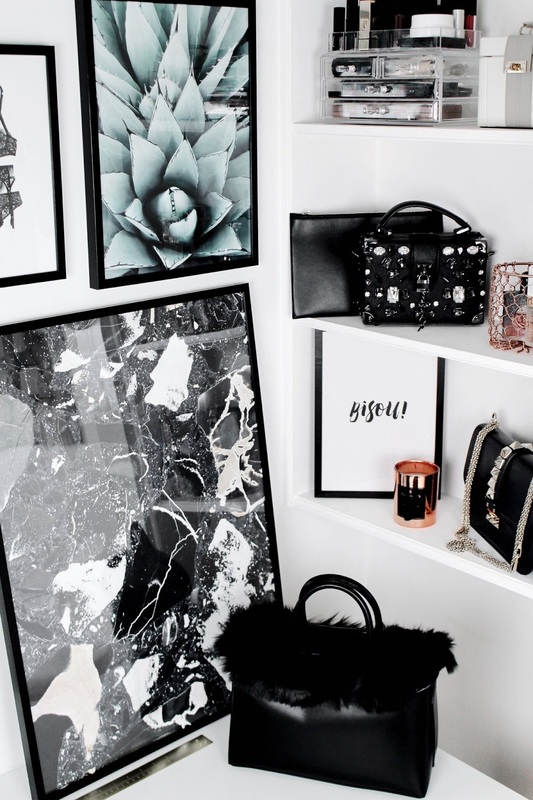 Wow these are gorgeous!Love how you styled the gallery wall! LOVE the simple and clean look of these pieces! I need a workplace like that to get my best work done. Completely in love with the way you've put yours together. You've honestly got an incredible eye for those kinds of details. It's amazing! Oooh, what gorgeous prints and what lovely pictures too!! Wow, they are beautiful prints! I'd love to have a little desk space setup so I can blog in an office-type space. No space in our house for that sadly, we are trying to build a house but so far things keep falling through at the last moment, we are not having much luck at all! Dammit I missed the cut off date for the offer! I recently just put a deposit down on my first ever apartment so I am keeping my eye out for prints to decorate. I'll check out this website and treat myself nearer the time! 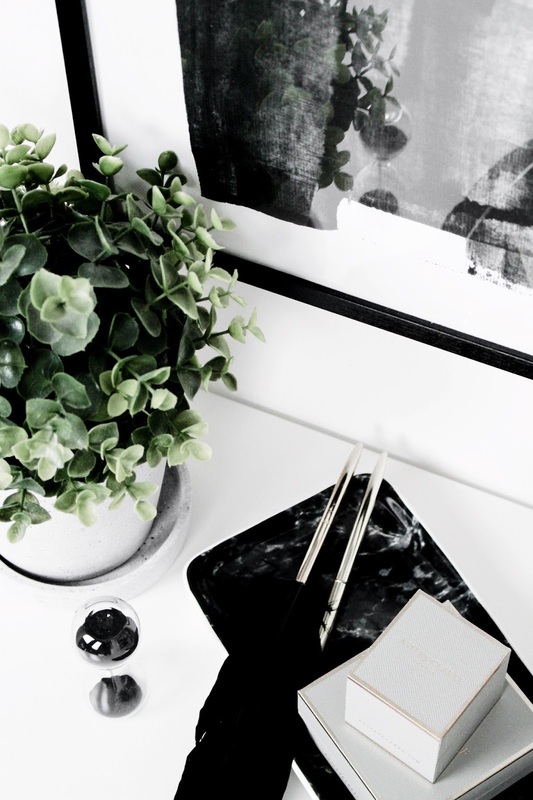 You chose some lovely prints, and I totally agree that making use of vertical space is a great way to make an office space your own, without feeling like your desk is cluttered with a bunch of stuff that gets in your way when you're trying to work. I work in an office and I'm yet to customise my desk area properly as I haven't been there long, but I'm working on it! The frames look amazing and your pictures are beautiful ! Damn, I can't believe I've missed your discount code! 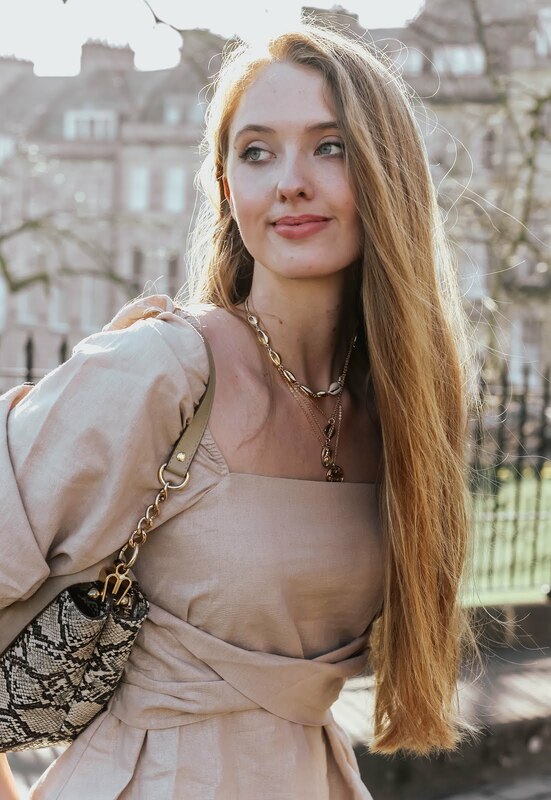 Desenio seem to be making a real name for themselves recently in the blogosphere and it's certainly not hard to see why! They're lovely pieces dear. Would love to hang a couple of those in my office too! Your office workspace is gorgeous Gabrielle. Love the decor and set up.